blogging tango from Bucharest, Romania and missing BsAs. 7-12 September, Tango Emoción in Bucharest. 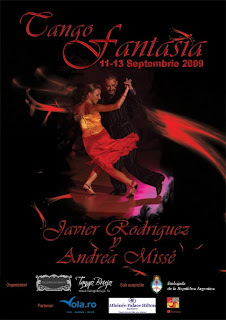 Classes, performance and Milonga with Javier Rodriguez & Andrea Missé in Romania.